There's no point in investing in the latest fire extinguishers without booking regular fire extinguisher servicing alongside. Yearly servicing is essential to maintain your equipment in good order and your company in compliance with good practice and ensuring that your fire extinguishers will work efficiently in an emergency. Servicing is vital part of your fire protection and health and safety responsibilities, helping you to maintain performance and reliability of your fire extinguishers. ....Call Us if you would like to arrange a service visit. Our long experience in the fire safety field means that we can advise you on our visit of any safety precautions that may be required and help you make appropriate decisions on any further fire protection equipment that may be necessary. Please contact us if you would like any help and advice regarding your fire safety precautions. Our friendly team are happy to answer any queries about fire extinguisher servicing Kent customers may come up with! Our yearly servicing contract which we have with most of our customers means that BAFE trained service personnel will inspect and maintain your fire extinguishers giving you peace of mind about your safety in the workplace whether it's an office or factory, nursing home, hospital, shop, etc. ETC Fire hold the complete range of fire extinguishers plus spare parts which are obtainable at short notice for our customers in Kent. 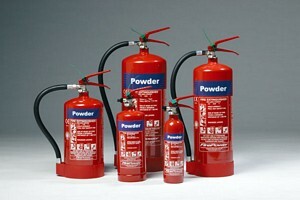 ETC Fire offers a flexible range of contracts professional fire extinguisher servicing Kent companies can rely on. ETC Fire are specialist suppliers of fire extinguishers and offer installation and regular maintenance of our own, and fire extinguishing equipment that you may have procured from another source, such as the Internet. So what are you waiting for, KEEP SAFE and book your fire extinguisher service today, by calling us on : 01444 487821 or 07501 724865 to speak to an advisor.